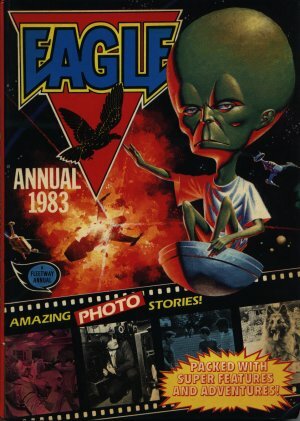 Eagle Annual 1983 was the start of the second series of Eagle Annuals, with a reduced number of pages and much higher price than the previous series. However, it was good to see it back again, complete with Dan Dare. Most of the stories now are in the format of photographs with speech bubbles.